Originally Submitted to FurAffinity.net on Mar 30th, 2016 08:03 AM. Before it was transferred to Inkbunny it had 1754 views and 96 favorites. 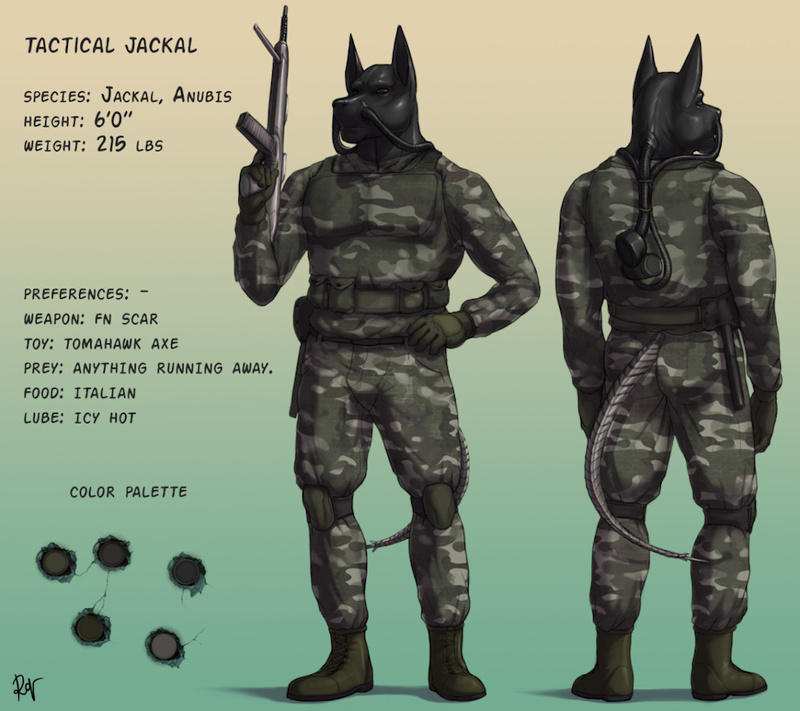 Reference commission for reddywhp as a gift for his friend rubberfirefighter starring his Tactical Jackal character.